We pilots know that our airplanes are an integral part of our lives in ways large and small. The events of a few months ago highlighted the role that our airplanes play in our lives, when many pilots used them for two very different purposes. The first was to fly in late August to the path of the total solar eclipse, which draped the Continental United States in a swath of momentary darkness as the moon covered the circle of the sun perfectly for a couple of minutes. People who witnessed it were spellbound by the effect, to the point that many of them felt surprised and a bit overwhelmed by the emotion they felt. Some described it as giving them a sense of perspective that we live on a planet and are very small parts of a beautiful, giant world of nature. It’s a feeling that pilots get all the time when we fly. The eclipse was just a more dramatic manifestation of the effect. There’s no good way to know how many pilots flew their light planes to the eclipse zone, but there were clearly many thousands who did, to the point that ATC was saturated by the armada of light planes that gathered for the astronomical event from places north and south of the pathway. Some airports, like Madras, Oregon, had backups of a couple of hundred airplanes to take off after the eclipse had come and gone and it was time to go home. The other event of note came down a few weeks after the celestial air show, and that was Harvey, the Category 4 hurricane that took out a couple of GA airports upon its landfall and then proceeded to drop record amounts of rain on Texas and, later, Louisiana, inundating Houston and other cities and towns around it and putting, at last count, around 50,000 homes under water. It also flooded a number of GA airports and closed down even more of them as they recovered from the flooding, which was extensive and terribly destructive. This is not news. But what many people who are not in aviation don’t know, is that pilots everywhere wanted to help, and many did, though the window was a small one, with there being few GA airports within shouting distance of the effected areas and with those that were open being busy with first responder flights. A days-long TFR then closed down most GA traffic before the roads leading into Houston were mostly open again, giving access to the city and surrounding area to large trucks. That small window didn’t stop GA from getting in their planes and delivering to Harvey victims at shelters much-needed medicine, food and water and basic survival goods, like blankets and diapers. They were also able to assess the damage by air, and the sight of Harvey’s devastation was distressing to see: huge tracts of homes and businesses under feet of water, most of them gone forever, families’ belongings and houses full of memories washed away, except for those the survivors were able to carry out with them on their backs. So when people tell me that airplanes are extravagances, I’ll think back to this summer, when they were anything but, when they were the vehicles we flew to live our lives, in happiness, sorrow or hope. How Safely Are We Flying? When the AOPA Air Safety Institute released its Joseph T. Nall Report earlier this year, we got the chance to see how we in GA are doing in our goal to make flying safer, a lot safer. The ASI’s report covered the year 2014, the most recent year for which we have comprehensive information, and the news was good. Accidents were down slightly from already-record levels of safety, and fatal accidents as a percentage were down even more. Both those things were true despite pilots around the country flying more than they did the year before—the increase in activity has lasted, too, based on figures for 2015 and 2016. The preliminary numbers for those years were encouraging, as well, though if you look at them out of context, it certainly doesn’t feel that way. There were 991 fixed-wing GA accidents that year, of which there were 156 fatal accidents, with 322 fatalities (for non-commercial GA flying). The 156 fatal accidents represent the lowest number in GA since WWII, and the percentage of accidents that were fatal was also at a record low. But it’s not safe enough, and I’d argue that the biggest takeaway from every Nall Report is the fact that there are too many accidents and too many fatal accidents. For every one of us pilots, it’s an annual wakeup call, and we’d be well advised to ask ourselves what steps we’re taking to make ourselves more proficient, better educated, wiser and more thoughtful pilots. I believe our goal should be zero accidents, though I’m not naïve enough to believe that we’ll accomplish that goal in my lifetime. But I do believe that with continued innovation, education, training and focus, we can cut the number of accidents and fatalities in half over the next decade. This matters, because I never forget for a second that every one of those numbers of accident victims is a person with a family and friends and a purpose in life, and every improvement we make pays dividends to countless lives, even if we never know the names of those who benefit by never becoming part of the statistical analysis. There’s increased reason for hope that the safety record will improve even more, as the FAA has made it easier for companies to innovate, through the September implementation of Part 23 certification reform. The agency has also moved to make it easier and far, far less expensive for owners of light planes to get high-quality and capable avionics in their planes through its risk-based assessment and certification move. Both of these initiatives are revolutionary, and I’ve been calling for them for the past 15 years in this column, though to be honest, I never expected the FAA to actually implement them. How these moves will affect the manufacture of new airplanes is harder to say. 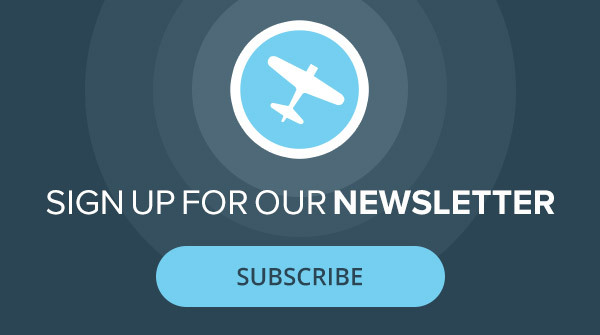 We’re hoping for new airframes to hit the factory showrooms with new designs, new materials and innovative safety technologies, all at lower prices than we’ve seen in decades. I remain skeptical we’ll see those things anytime soon, though this is one case where I’d be delighted to be proven wrong. When it comes to fighting against FBOs that overcharge for fuel, it always seemed like a fight the little guys like us couldn’t win, but given AOPA’s new interest in taking the fight directly to the FBOs, we’re hopeful we’ll see an end to business practices from FBOs at many airports that hurt light GA. Recently, AOPA filed Part 13 complaints against three FBOs that were among the “most complained about” in the nation, it said. They are Waukegan, Illinois; Key West, Florida; and Asheville, North Carolina. In essence, a Part 13 complaint alleges that the businesses are not living up to their end of their FAA grant assurances by providing reasonable services. 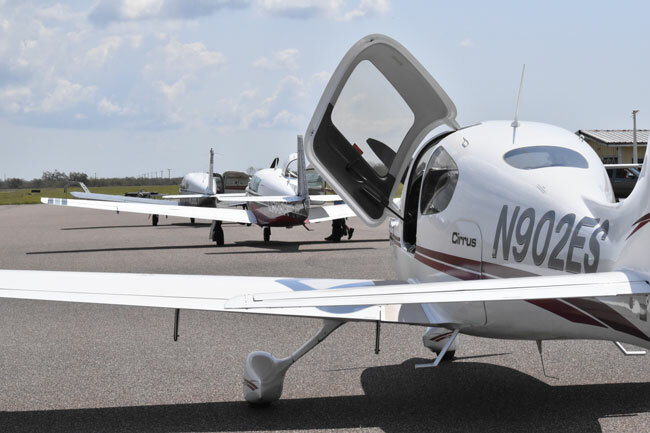 The organization filed the complaints against the Signature FBOs at Waukegan, Asheville and Key West along with seven partners, operators who have flown into business at those locations and claim unfair pricing practices. One pilot complained that at Waukegan, he was charged $236 in fees after parking his light plane for two hours. Signature lowered the price to $90 after the pilot complained, AOPA said in its official release. But what will happen if the FAA rules in AOPA et al’s favor? They can actually go after the airport’s governing bodies’ grants, and it’s not a long shot, either. Orange County’s John Wayne International began the eviction process for Signature, which Signature quickly appealed to the FAA. The great news for pilots: The FAA upheld the Orange County airport commission’s move. In a predictable move after news of AOPA’s legal challenge went public, the National Air Transportation Association (NATA) sent “letters in response” to the action. If you’re thrown off by the overreaching name of the organization, we can clear that up. NATA is a lobbying group for FBOs. In a letter, NATA claimed that FBOs that charge a lot for gas only seem to be taking advantage of consumers. In fact, their hands are tied because of stiff competition, though NATA offered no supporting evidence for that claim, and we pilots know better. I don’t blame NATA for making its case, however nonsensical it might be. Making such arguments is the reason the organization exists. But when it comes to determining who’s right in this butting of heads, I’d apply the sniff test. If it smells like the aviation fuel is way too expensive, believe your nose. It is. And hats off, once again, to AOPA for standing up for its members. I just renewed my membership, and this is one of the many reasons why I do so every year. I have learned from experience to avoid Signature FBOs. Their tiedown fees are expensive (for my C172) and gas is always high. Fortunately there are usually other FBOs either at the field or within 50nm or so as an alternative. Perhaps Signature wants to discourage us “little guys” from using these airports. I love FlyQ’s fuel price on the map feature. Information is great and I avoid the high price FBO’s. I have flown corporate jets for 40 years and have avoided Signature just about the entire time. They are without a doubt the greediest of all of the FBO’s with Atlantic coming in a close second. I have NOT spent millions of dollars on fuel at Signature because of my avoiding them. They may or may not be the ones that started the ramp fee BS but most of us pilots think they did. So we avoid when possible and tanker fuel when we just have to deal with their robbery . strictly because of fuel prices……and l’m not alone.